16 month old big heavyweight brindle and white, plenty of bone and substance, long head with good width and muzzle, slightly long, moved close behind. 3 year old white with strong head but would like more profile, straight front, short back, tidy feet, moved and handled well. 18 month old white, head has good length, keen eye, ears could be better, neck long and strong, good bend of stifle, moved well. 7 year old white with head markings, feminine girl with nice head, keen eye and correct ear placement, nice bone and substance, shown and handled well, moved well. 7 year old white in good condition, long head with good mouth, tidy feet, good rear angulation, moved well. 7 month old feminine white with brindle head marking, strong head with good width to muzzle, small keen eye giving great expression, good bone, long neck, well bent stifle, moved well. 18 month old white with black ears, nice head with enough fill and profile, lovely expression, long neck, straight front, moved and handled well. 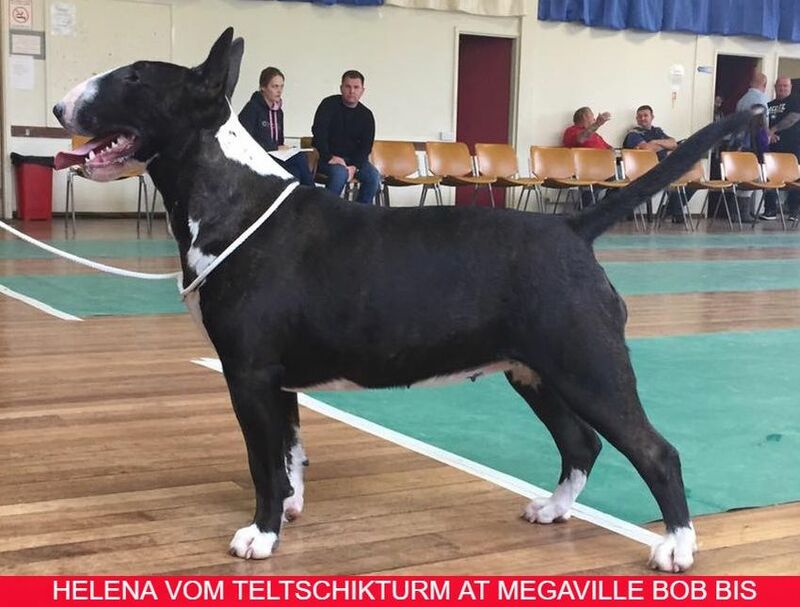 Strong head with good length and fill, long strong neck, would like tighter feet, strong rear quarters, moved ok.
Brindle and white feminine girl, head has good length, straight front with good bone, moved well, not making the most of herself as she was not sure of herself. Quality white with head marking, great expression with good ears, nice head with good width and turn, long neck into good front and shoulders, in lovely condition, unfortunately I think she wanted to be somewhere else today and didn’t show herself to her best advantage.